The press these figs have received would make any aspiring actor envious. 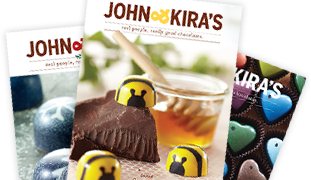 They appeared, with John and Kira of course, on the Martha Stewart Show and have been featured not once but twice in Oprah's magazine. Wine Spectator loves them as well. Read the reviews below to get a better idea of what others have to say, then treat yourself or send a friend an outrageously good gift. We promise that you (or your lucky friend) will not be disappointed. These chocolate covered figs are absolutely delicious! I have bought them multiple times to give as gifts and just to eat at home as a special treat. Really, really delectable. A favorite in my house. These are the best adult treats ever! The dark chocolate is smooth and the whiskey flavor really comes through. I love buying these for my husband for special occasions. Highly recommended!!!! The fig chocolates are the best! Comparing to the Spanish ones, John and Kira's fig chocolates receive the top golden award the world over. The flavors are extraordinary because of the expertly profiled for the best blend of rich creamy and chocolatey yum. The blend of smooth and some fig seed crisp creates the best texture. There is no need to buy the Spanish ones across the Atlantic. One more plus is we can feel proud of being an American and support American made products. 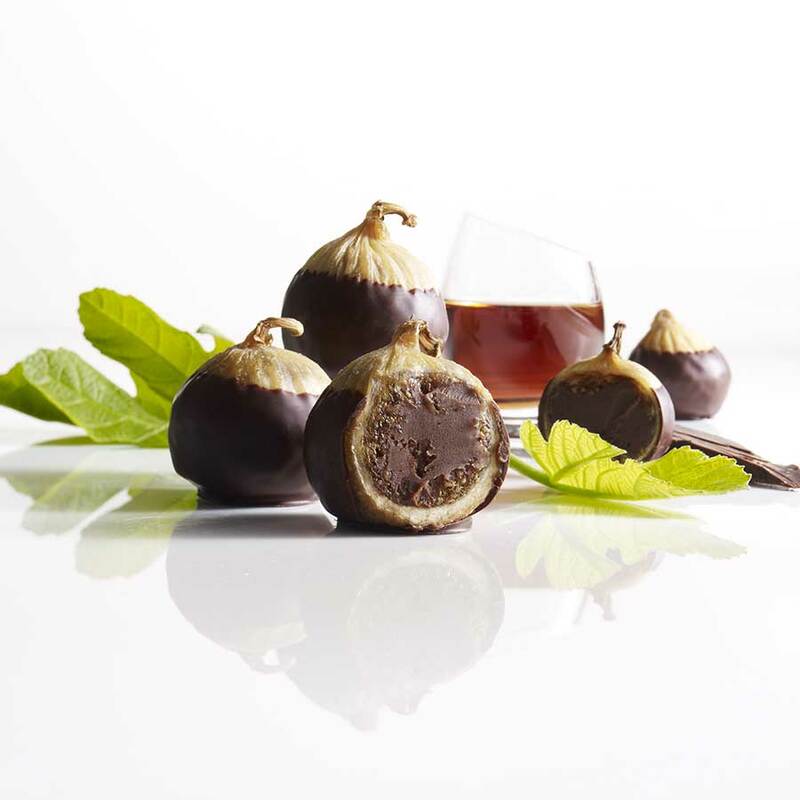 Owner Response: We're glad you love our Figs! We actually still primarily source our Calabacita Figs from Spain in addition to our supplier in California. For so many of our items, we DO source our ingredients as close to home as possible - oftentimes in Pennsylvania, and even including urban gardens and farms right here in Philadelphia! And of course - chocolate is a global product by its nature, coming from many different regions across the world - and we use all Valrhona chocolate as the foundation for our products, so you can be assured that its quality -as well as the methods of its cultivation and export- are held to extremely high standards along every step of its journey to our Kitchen. I was given these as a gift-now it's me that gives them as gifts. I LOVE THEM!!! I'm also impressed with the packaging and care they take when shipping. Customer Service is wonderful also. I got a call on a Saturday to confirm a zip code. The nice lady said there were several zip codes coming up for the city, and she just wanted to make sure they got there without a delay. Great company!! Owner Response: Thank you so much for the compliment on our Customer Service and the care we take with shipping - everyone in the office is happy to hear it! And of course - we're glad you enjoy the chocolate! 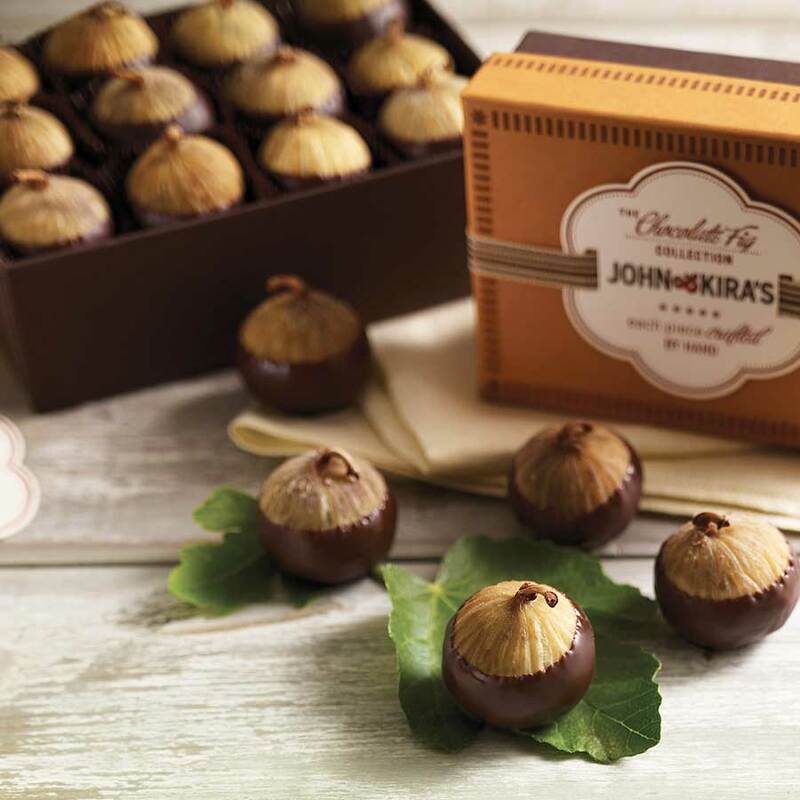 While I love all of J&K's products, figs are what I give to friends and family for birthdays, special occasions and congratulations. They are ALWAYS appreciated, and there is no one else making anything like them, so folks are grateful to have them. If you haven't tried them, you really should! If you love dark chocolate & you love figs, there is no better combination than the Valrhona chocolate & the Spanish figs that make up this edible piece of heaven. 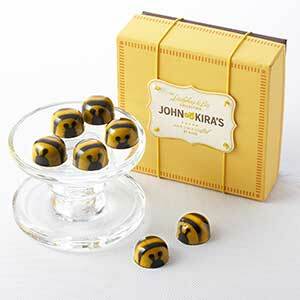 Gold standard for chocolate covered dried fruit! These chocolate covered figs have pretty much ruined it for any other chocolatier selling chocolate covered dried fruit. Once you try one, you will discover that nothing else compares. They are literally my favorite mail order chocolate and worth every penny!!! 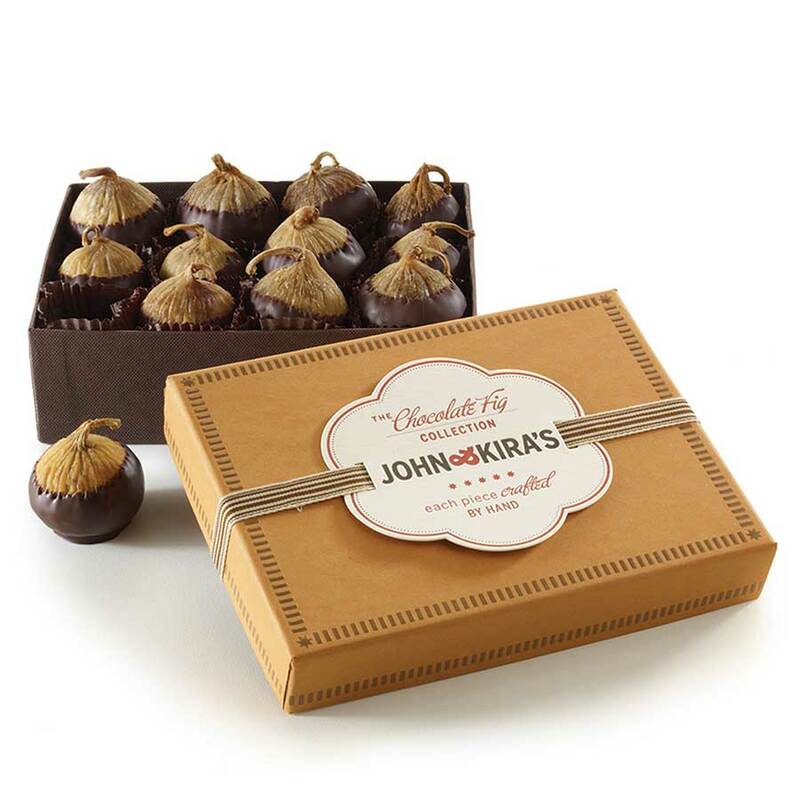 You can taste everything...the figs, the fruity dark chocolate, and subtle notes of whiskey in the ganache which are perfectly balanced (and not overwhelming like some other alcohol infused chocolates). Simply. Perfect. Chocolates. Thanks John and Kira's! Can I call it healthy and not feel guilty? Just tried these wonderful treats. Its not too sweet and the combination of sweet inside the fig is delicious. I bought these for my brother in law and he loves them! Says they are the best he's ever had. So now for special occasions this is what he receives! Bought these for the holidays & they were enjoyed by friends & family! Such a delicious combination of chocolate , ganache with a hint of whiskey & figs. Perfectly balanced. I'm planning to buy more soon for no good reason other than they are oh so good! These are absolutely the best chocolates - consistency, taste, aesthetics, all of it! Being a swiss girl, it takes a lot for me to admit that any chocolate made outside of my proud little country is any good at all. 5 big big stars! I stumbled across your site while doing my (typical) last minute online holiday shopping. When I read the description of your Fig Delicacy, I knew my husband & sister would probably like them, as they love figs. I wasn't sure if boxes of six would be enough but settled on boxes of 12 for each. I was impressed with how quickly my order arrived because I ordered Turtles for my mom, and stocking stuffers for kids & grandkids. Well, I had to give my husband his gift early. With his first bite, I knew this gift was perfect. After one fig, he ate another. He generously offered one to me! In one sitting, he ate six and I ate three. I am not a chocolate lover, but the combination of flavors were truly heavenly! I am glad I got the box of 12! Each gift was loved! Owner Response: Thank you Diane! We appreciate your taking the time to share your story with us! These were the best ever! They just make you so happy and that is how desserts should be. I don't really need to write another review because it looks like they are all top notch but I am telling you, these are the best chocolate covered anything I have ever tasted!!!! Of course I love figs! My daughter brought them up from LA and I tried one and now all I can think of is having another........I guess I will be ordering these again and again!!!!Yay!!!!! From the presentation to the very last (sad) bite these figs are an experience to remember. The packing on all of the candies we have tried is impeccable. 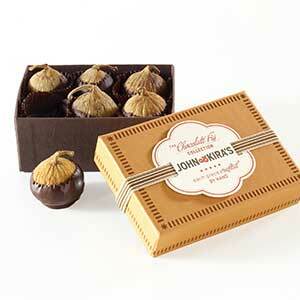 The figs are special as the aroma captivates you as soon as you open the box. The figs are tender and the ganache is heavenly. They are a duet of flavors in your mouth that will make you want an encore or two. If you like figs and you like chocolate, these are amazing and somehow the whole is better than the sum of the parts. Pure heaven; my favorite chocolate! 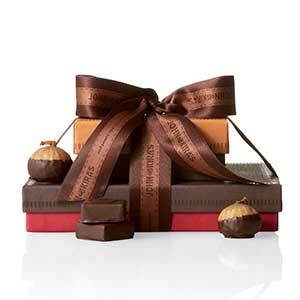 A perfect gift for that Chocoholic loved-one in your life. 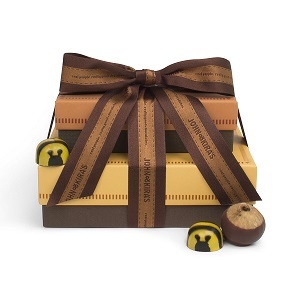 Perfect gift packaging ensures the safety of each morsel. Everything about these figs is impressive. Beautifully presented, these figs will please anyone who is a foodie. The are so unique and just plain DELICIOUS. You will be hard pressed to find a better gourmet treat. These figs are divine! I gave these to my brother(who is a fig fanatic) 2 Christmas's ago and he is still talking about them. So, I am placing an order and will probably do so for many years to come.